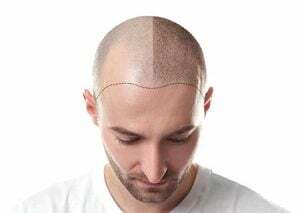 Scalp Micropigmentation for men, and Hair Follicle Simulation, also known as Hair Follicle Replication, are techniques designed to restore a natural hair look for anyone who wants more fullness of the hair or who suffers from aging or sickness. It is also the best solution for hair missing in places or areas that are not quite perfect. It uses an advanced hair follicle technique that replicates the 3D effects of natural hair follicles. Our certified professional technicians will use the latest technology devices and the best quality hand pieces to implant highly concentrated non-allergenic, vegan friendly pigments, made in Germany, on the areas where camouflage is desired. Whether you want a soft natural looking shade or more bold coloring, we can define the shade to fit your preference. We perform Scalp Micropigmentation for men, using advanced technology devices and the best quality hand pieces to implant the highly concentrated non-allergenic, vegan friendly pigments to mimic the appearance of hair follicles. This technique replicates the 3D effects of natural hair follicles which logically cover the appearance of Bald Spots or Total Baldness for people who want more fullness of the hair or who suffer from aging or sickness and want a natural scalp look. Men Advanced Hair Follicle, also known as Men Hair Follicle Simulation is a Permanent Cosmetic procedure is used to enhance or define hair on imperfect areas by applying cosmetic ink to mimic the appearance of hair follicles.